Tempted by covered tables, and wanting to rest our feet and have a pivo (half liter of beer), we once foolishly sat, and wound up spending ~800Kc (nearly US$40) for a crappy lunch, and two short pours of beer (400ml, should have been 500ml) for three times the normal price (95Kc, should have been ~20-30). 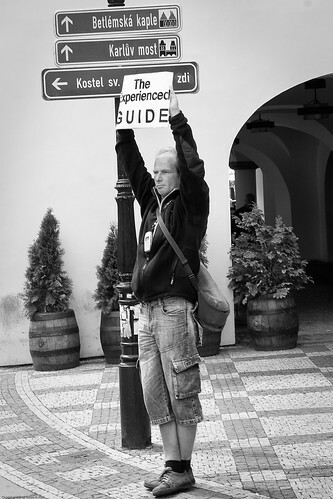 As in tourist areas everywhere, guides tout their services in whatever languages they speak (I heard mostly UK English & German here). 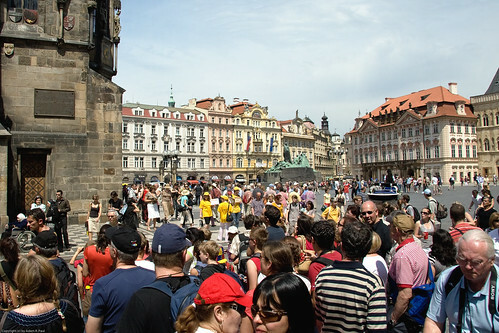 The area by the Astronomical Clock (subject of the next post) is especially crowded near the top of the hour as throngs gather to see its hourly procession of saints. 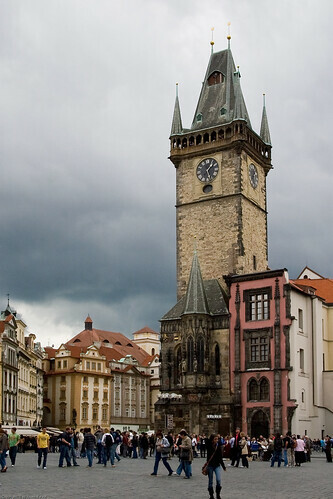 The Town Hall’s tower, completed in 1364, rises above everything except the spires of the Tyn Church. For a small fee, one can go up it, but we didn’t get to that, having climbed several other towers in other parts of town. There is really a wealth of architectural styles here, ranging from the 1300s to the early 1900s, and it’s quite a feast for the eyes, if you can look past all of the tourists, “olde tyme” cart rides, etc etc etc. 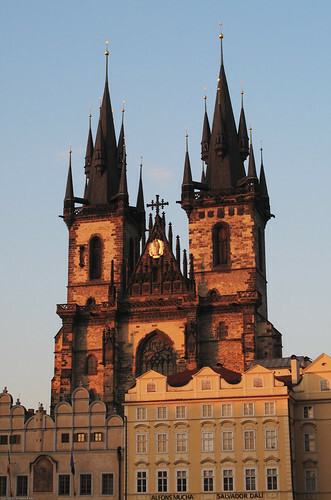 Unmissable, and one of my favorite sights in Old Town Square is the beautiful late-Gothic Týn Church, built roughly between 1300 & 1400. 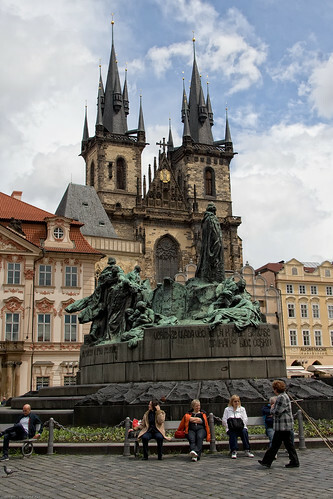 In 1626, after the Battle of White Mountain, the sculptures of George of Podebrady and the chalice were removed and replaced by a sculpture of the Virgin Mary, with a giant holy made from by melting down the chalice. 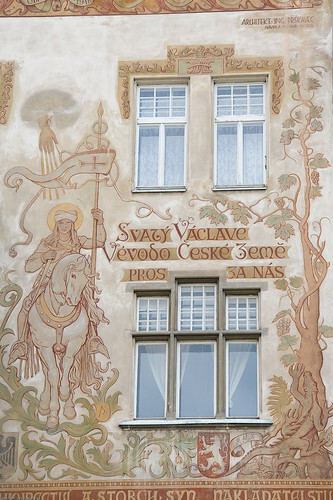 And now, in front of the church, is a large monument to Jan Hus (sort of an early Martin Luther), who fought the Catholic church, and died for doing so. 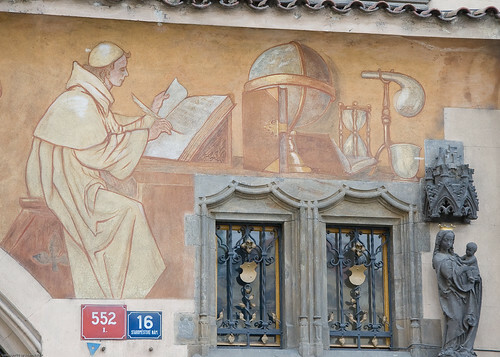 Before leaving tourist-central, one more post is required to examine one of Old Town Squares most famous sights, its Astronomical Clock. Can’t argue with his passion. I do love old European squares. They really bring people together and display some of the most fantastic elements of a city’s architecture, art, and culture. Me too – doubly so since so many of them, at least the big ones, are largely car-free. 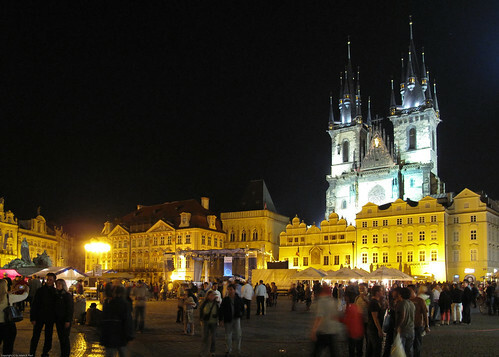 Wow Adam – fantastic images of Prague! Wonderful architecture & details where ever you look. 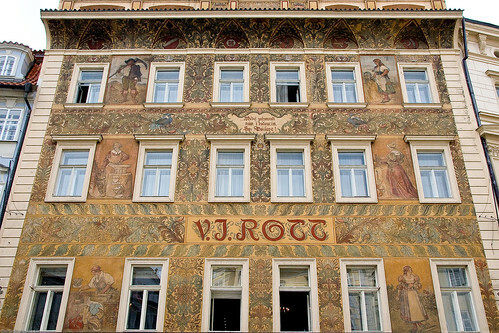 Reminds me of Vienna and Munich. Thanks Klaus! 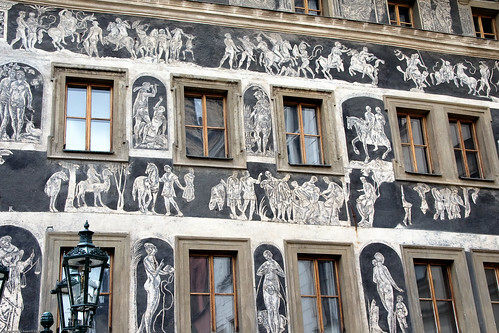 I’ve heard Vienna is similar, especially in that it has a lot of sgraffito, as does Prague. Beautiful images Adam, the architecture must have been wonderful to witness, great shots !! Thank you Bernie – it was lovely to stroll around there, no doubt about it!